THE RETURN of injured Greater Western Sydney forwards Toby Greene, Brett Deledio and Matt de Boer helped inspire last week's elimination final win over Sydney before the two teams had even stepped onto the SCG on Saturday. GWS coach Leon Cameron recalled the trio although they hadn't played since the team's round 20 win over Carlton, and also brought in star defender Zac Williams, who played his first game of the year. Williams was back to his attacking best in defence for the visitors, but it was the impact of the comeback Giants at the other end of the ground that proved pivotal in the 49-point win. The big-game experience of Deledio (260 games), de Boer (167) and Greene (125) not only helped them step back into senior footy off a long break as if they'd never been missing, but was also of great benefit to their younger teammates. 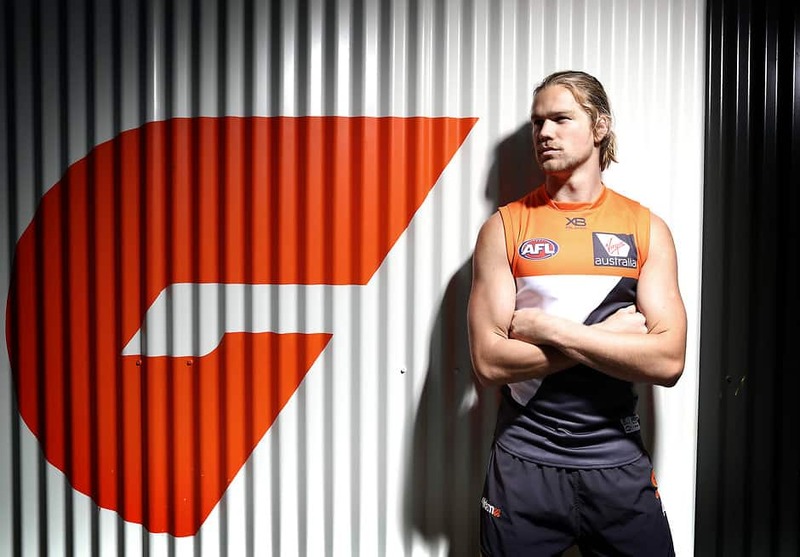 GWS youngster Harry Himmelberg told AFL.com.au all three had a pronounced effect on the team's forwards. "They have an aura about them that breeds confidence," he said. "They're seasoned players, so you know what you're going to get out of those guys, and that lifts everyone else in the forward line. "People talked about 'Lids' being picked as a bit of a punt, but the way he trained last week and how he carried himself around the boys was really exciting. "There's no doubt 'Tobes' brings the X-factor for us, and both he and 'Lids' gave us some little tips about how to handle things in finals, and 'Dutchy' (de Boer) is the ultimate professional so he was great as well. "Myself and Zaccy Langdon got a lot out of having those guys around, it gave us a real spark." While his more experienced teammates had plenty of influence in the team's win over the Swans, Himmelberg's showing inside 50 against veteran Heath Grundy was just as impressive. The 22-year-old finished the night with 23 possessions, nine marks, four tackles, four inside 50s and two goals, at the perfect time for a career-best performance. Injuries have caused almost weekly change to the team's forward set-up in 2018, but the athletic Himmelberg has played every game this season to be the focal point the Giants needed. Jeremy Cameron's mid-year suspension limited him to 16 games during the home-and-away season, while injuries also saw Ryan Griffen (15), de Boer (13), Jon Patton (12), Deledio (nine) and Greene (seven) absent at different stages. Himmelberg said although the GWS forward group didn't have a conventional lead-up to the clash with Sydney, meticulously preparation made it work. "It's hard to say we've got continuity because we brought in three blokes that hadn't played in a while, but those boys were still really involved when they weren't playing," he said. "Everyone was on the same page, we knew the structures and how we wanted to beat the Swans, so it felt like we had a really good click. "That's been hard to find this year, but I think we found it on the weekend. "We're supremely confident that if we can play the footy we want to play, it will hold up on any ground – it's just about putting together a complete performance." The only slight downside to the Giants' elimination final win was their finishing in front of goal, with Himmelberg, Greene and Cameron among those who missed shots that could have been critical had the margin of the contest been tighter. It's been an area of concern for most of the season, but Himmelberg said it hadn't been a major focus ahead of Saturday night's clash with Collingwood at the MCG. "We haven't touched on it too much, but individually you know," he said. "For me, when I'm under fatigue I just need to go through my routine and nail the shots. "It's a tough thing to do and it's hard to emulate at training, but we're confident it's a pretty easy fix. It's more of a concentration thing in the moment on an individual level."